Retired Singapore Diplomat Explains New Johor Chief Minister’s Plan To Increase Water Price By 1600%; From 3 Sen to 50 Sen – Sinking It In! Retired Singaporean diplomat Bilahari Kausikan gave his 2 cents about the ongoing attempts by Malaysia to alter the internationally binding water agreement with Singapore. In his opinion, the new Johor Chief Minister is either unaware or has chosen to ignore some pertinent facts about the existing 1962 water agreement. With the current agreement, Malaysia or the Johor State Government has been profiting from the resale of cheap treated water sold by Singapore to its citizens. So the Chief Minister of Johor wants to raise the price of water by 1600%. Perhaps he is not aware of or has chosen to ignore some facts. By the terms of an international agreement, Singapore buys raw (untreated) water at 3 sen per 1000 mgd. We sell, again by the terms of an international agreement, treated (drinkable) water to Johor at 50 sen per 1000 mgd. But it costs us RM 2.40 per 1000 mgd to treat the water. So we are subsidising the cost of treated water for Johor. Johor sells that treated water to its citizens at RM 3.95 per 1000 mgd. Go calculate the profit for Johor. Mr Kausikan also shed more light on what it was like for Singapore when the two sides tried to negotiate a new water deal. He spoke of the constant flip-flopping by the Malaysian side. What was agreed upon previously would suddenly change at short notice to an astronomical price for no apparent reason. He likened Malaysia’s past negotiating tactics to extortion and explained this was why Singapore is adamant on abiding by the rule of law and following through with binding international agreements. In August 2000, Singapore reached agreement with Malaysia to raise the price of raw water to 45 sen in return for Malaysia agreeing to supply water after the current agreement expires. But six months later, in February 2001, Malaysia unilaterally raised its asking price to 60 sen. We offered a compromise: 45 sen now and 60 sen after 2011. In March 2002, Malaysia demanded 60 sen now and the price backdated to 1986 and 1987. Those were the dates when by the terms of the international agreement, Malaysia could have called for a price review, but did not do so. Not only that, Malaysia demanded RM3 for water from 2007 to 2011. Then in September 2002, Malaysia wanted RM 6.25. How to negotiate like that? The proper description for this sort of behaviour is extortion. That’s why we must insist on international agreements being respected. All these facts and more — backed up by the original documents —were published by Singapore in a booklet entitled “Water Talks? If Only It Could” . In the retired diplomat’s point of view, these public announcements of revision to the water deal is a political ploy by the new Mahathir-led Pakatan Harapan Government to pressure Singapore as a distraction to their own domestic issues which were harder to solve. 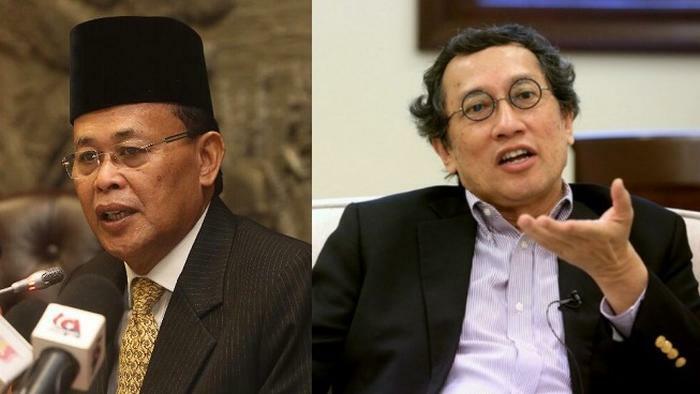 Mr Bilahari warned further that this was an old song sung by Dr Mahathir and his followers and they would not hesitate to replay this song repeatedly for their own political gains. However, I don’t think the Chief Minister is really interested in facts. As I have previously written, I think this is a political ploy to get Singaporeans to pressure our government. And it is a distraction from their own problems. I don’t think most Singaporeans will fall for it once they know the facts. Except, of course, for the usual suspects who cannot resist the temptation to use foreign pressure to try and advance their own agendas. Remember, this is an old song. And they will play it again and again in the coming months.